As a frequent patron of Westport, I understand when business owners want to take action to make it a safer place. Westport is a center of what is Kansas City’s vibrant nightlife. Its reputation has taken a hit this year due to violent people committing criminal acts using firearms. Primarily, these acts have taken place between 11 p.m. and 4 a.m. With more than 60 such events occurring in the past year, including assault, robbery and murder, something needs to be done. Measures have to be taken to mitigate the problem. In December of 2017, the Kansas City City Council voted for privatizing the sidewalks of Westport in order to reduce violence by those carrying firearms. The privatization would include screening and other measures from 11 p.m. to 4 a.m. All persons entering the privatized area would be subjected to walking through a metal detector to ensure no guns are carried into the area. Business owners — themselves private citizens — have asked for this allowance. Tune in to Ruckus tonight to hear Kansas City’s NAACP President Reverend Rodney Williams discussing the organization’s opposition to Westport privatization efforts and the rationale behind the travel advisory for the state of Missouri. Ruckus airs at 7 p.m. on KCPT. The measure requires, starting in April 2018, that anyone entering the privatized area must pass through a metal detector. Metal detectors will will be strategically placed on sidewalks to cover the targeted area, where violence has been a problem. If a person triggers the metal detector, he or she will be subjected to a search. This is similar to what is done at Kansas City International and airport terminals throughout the U.S. The local NAACP chapter has cried foul, citing a fear of racial profiling and escalating racial tension. It’s the NAACP position that actually escalates racial tensions. It’s nothing more than pre-emptive victimhood. Pre-emptive victimhood is declaring harm to people when the system hasn’t been implemented. To stir up racial tensions, now, sabotages the whole process. Metal detectors are triggered by the presence of firearms, not skin color. The NAACP has suggested other ways to address crime. It suggested cutting the number of bar licenses, having individual businesses search patrons upon entry and increasing the police presence after 11 p.m. Essentially, they want to close businesses, require each business to have metal detectors, and are inviting more police to the party. The last I checked, the NAACP feels that Missouri is not a safe state because of police and other law enforcement. Its plea seems contrived or disingenuous, at best. 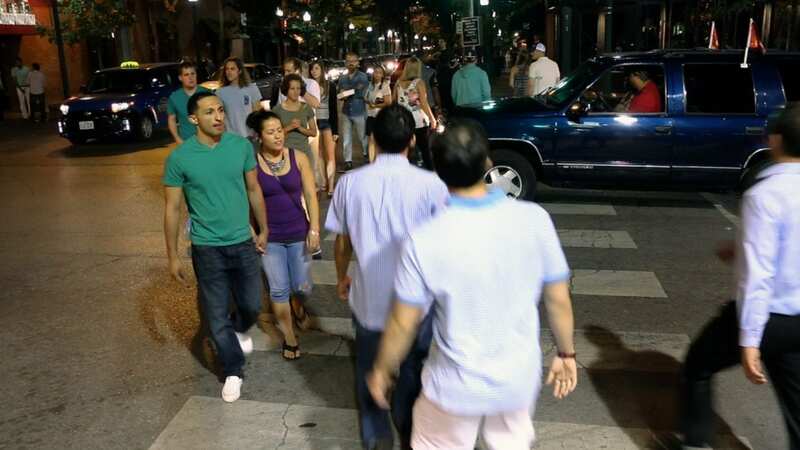 No matter the color of your skin, if you aren’t carrying a gun, you will pass and be on your way to a fun night in Westport. — Ron Freeman is an author, leadership consultant and occasional guest on Ruckus, a weekly public affairs show on Kansas City PBS.